We provide safe and reliable transportation from Denver International Airport to the Breckenridge Transportation Center in Breckenridge Colorado. You can trust Peak 1 Express for your Denver airport one-way arrival transportation needs to the Breckenridge Transportation Center in Breckenridge Colorado. We do offer several pick-up times in the morning, afternoon and evening to help with your arrival time from the Denver international Airport. We do recommend giving yourself 45 Minutes prior to your chosen pickup time. Our Mercedes Sprinters are the safest Denver International Airport shuttle service vehicles for Colorado mountain transportation. They provide unsurpassed safety features, more legroom, headroom and storage. 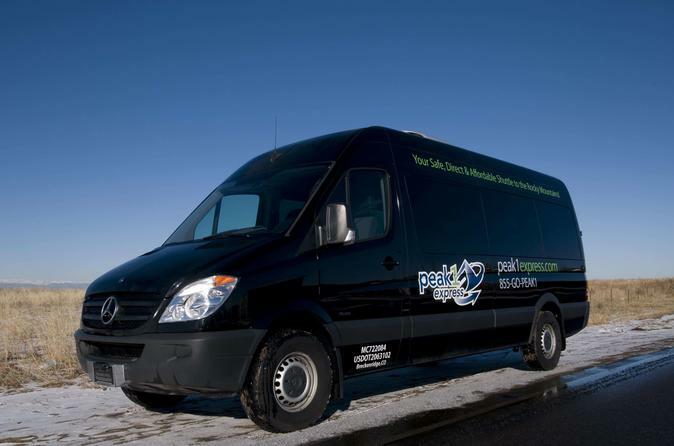 If you need affordable, reliable Colorado Mountain transportation, Peak 1 Express is the right choice. We look forward to serving you for your Colorado Mountain transportation needs!